Dress: Beauifille. Bag: Topshop (also love the clear). Earrings: Cult Gaia (also in clear). Sunglasses: Saint Laurent. Shoes: Old, similar. When it comes to fashion, I am all about the *drama* and making a statement. So today, I am rounding up all of my favorite spring statement accessories from Nordstrom. 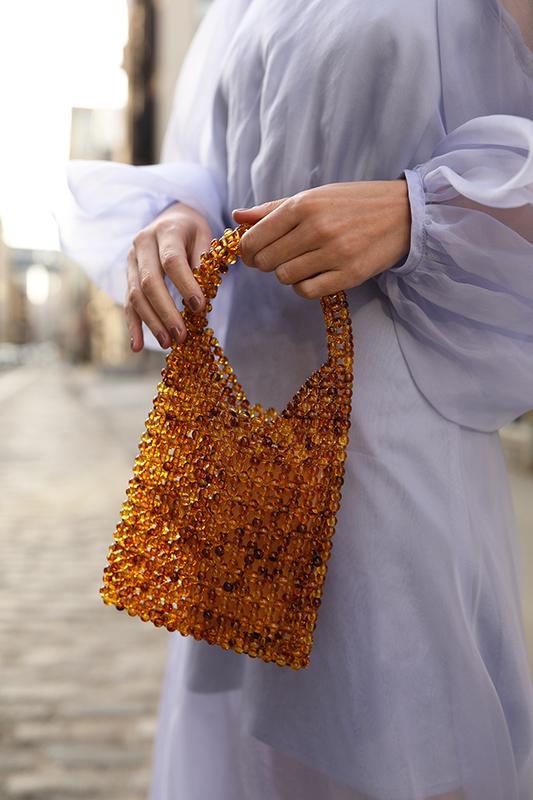 While we are still easing our way into the spring season here in NYC, in the meantime I am trying to find creative ways to make it feel like spring – by adding a fun beaded bag to my look, wearing colorful statement earrings, and choosing a fun sunglass shape! Shop my look above and shop all of my spring statement accessories picks below – many are under $100! Thank you to Nordstrom and ShopStyle for sponsoring this post! Ohhh what a beautiful soft and sweet lovely ♥️look for Spring. You absolutely look like a moderne beautiful Principessa in the city! Oh, you look absolutely adorable! This color is beautiful! You definitely find the perfect outfits in this color! I know this was supposed to be about accessories, but I absolutely love the dress you wore! It’s so flowy and lovely. The color and style make it feel like you belong in a fairy tale. I totally love your outfit! That dress is so feminine and sophisticated, I love it! The accessories truly complement this beautiful dress. I just love this look! The sleeves are so beautiful! great accessories, that bag is a beauty. I also love your sunnies.